A list of Bitcoin Wallets for your next iOS and Android Mobile App, Integrate one of this Wallet to your app for next payment transaction. Bitcoin is the popular cryptocurrency that ensures secure transaction in the financial technology world. And, as a result has found many wallets that cater to different devices. With the incredible growth of mobile wallets, the access to the digital currency has become a breeze. Using bitcoin wallet, it has become easier to receive, store and spend the bitcoins. The bitcoin wallets are less or more like internet banking, which provides an interface to the users to handle the crypto investment at the convenience of their mobile. The private keys- the secret codes are provided which gives the users access to the wallets and allow them to buy or spend the bitcoins.The Coin base is an exchange where people can convert the local currency into and out of the bitcoins, to buy, sell and store bitcoin as an investment or use for day-to-day spending on-the-fly. The intriguing benefits of bitcoin wallets certainly allure the users dealing with the bitcoins. That’s why app stores are populated with several bitcoin wallet apps. These many bitcoin wallet options make the users overwhelming at times. Also, there are some apps which are susceptible to fraud or buggy which ruins the user experience. It’s a popular bitcoin wallet that can be easily integrated with third-party services and offers high-level of advanced security features. The wallet can be secured with a PIN, and to make the funds in the wallet 100% secure, the Watch-Only address and private key are imported in the Cold Storage functionality. Plus, the supernodes enable a fast connection with the bitcoin network. However, Mycelium is more complicated to use because of the robust security it offers, but, the inconvenience is worth the security. It supports Trezor hardware- an exchange wallet, which allows the users to transfer the funds from hardware wallet to phone just with a USB adapter. The bitcoin wallet covers the needs of a broad range of the users. It keeps the private keys encrypted and let them go online and offline with the view-only feature. With NO Lock-In feature, the private keys can be exported on-the-fly and used in any bitcoin clients. Also, the wallet never leaves the device, thereby making your bitcoins safer in the wallet. The wallet performs at better speeds as it uses the servers which index the bitcoin blockchain. The servers are redundant and decentralized so the server will never be down and you can keep using the wallet without any downtime experience. The multi-signature bitcoin wallet from BitPay allow personal wallet users or shared wallet users to hold or share the funds individually or with other users respectively in the most secure way.The multiple approvals with multi-signature and storage of private key on the device locally (Not on the cloud) prevent the unauthorized transactions. It offers support for test net wallet, backup features, HD address generation, and more than 150 currency pricing options. The Bitcoin Payment Protocol (BIP 0070-0073) rest assure the users that the payment requests and payments are secure. The high praise for the bitcoin wallet is heard from the iOS users due to the minimalism and the control over the bitcoin it offers in the hand of users thereby making it the safest wallet option. The iOS wallet apps directly connect to the bitcoin network client, which means there will be no threat to the servers about getting hacked or going down. No matter if the mobile phone gets lost, the funds can be recovered easily using the private key. It’s the fastest wallet alternative that enables wallet creation and bitcoin payments online or in person in a couple of seconds. However, there is no advanced protection in place like- multi-signature, two-factor authentication or cold storage, which makes it less secure as opposed to other wallets. The wallet is the most complex and controversial on the list of top iOS and Android wallet apps. The intuitive interface, ability to pair with multiple devices, and support for the wide spectrum of cryptocurrencies, built-in shapeshift and mnemonic phrase backup are some of the key features that declare the wallet as one of the frontrunners. On the other hand, no implementation is done yet to make the wallet safe against the hackers, which makes the users reluctant to store plenty of bitcoins in the Jaxx wallet, if they are using it. The multi-platform bitcoin wallet service offers high-end security with multi-signature, two-factor authentication per transaction, PIN login, and by not storing the users’ private keys anywhere. With Watch-Only login, the users can log in faster and take a glance at the transaction and balance without hurting the wallet’s security. Then Lock time transactions or tools allow the users to recover the funds, in case of service disappearance. The Green Address transaction attestation provides transaction confirmation off the bat. The HD wallet stands high on the security ladder with no information or data access of the user’s funds, transactions or keys to the third-party services, not even the Airbitz itself. 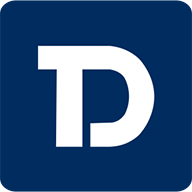 This way users can enjoy the single autonomy over the transactions and financial data privacy. Also, the Airbitz server is decentralized so there is no fear of the wallet facing a downtime. The bitcoin payment transaction can be searched by payees, notes or category. Besides, the account creation is plain-sailing that involves just a login and password. BitCoin has gained a wide acceptance globally and has paved the path for its increased use with different devices including mobile. 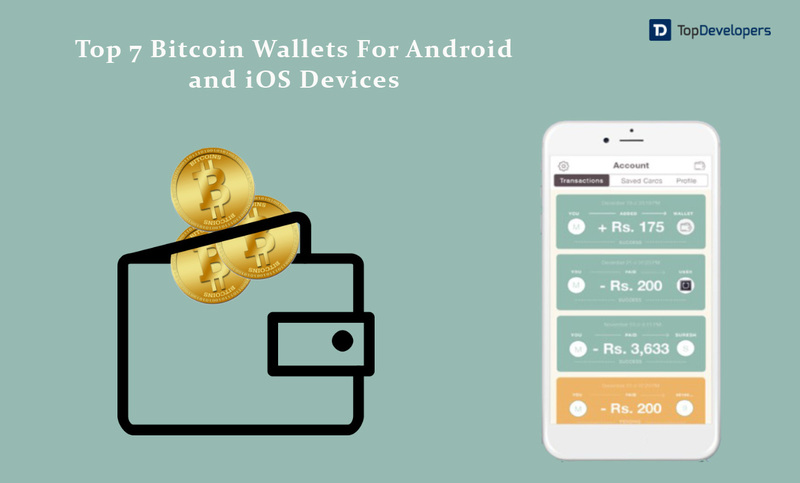 Mobile wallets for Bitcoin has thus become a rage and there are requests for efficient mobile app development companies that integrates various bitcoin wallets or integrate methods for easy bitcoin payment options.